…will buy an unattributed portrait of Jane Austen, presumably. There’s one currently for sale on eBay, purveyor of fine art. Whose tradition would that be? While shawls were another popular fashion item of the day, it is worth noting that Jane Austen’s father died in 1905. If this shawl is taken as a token of mourning, it makes Austen 29 in this portrait – perfectly plausible. The writing implement in the portrait is a “quill holder” or “quill slip holder” of the type popular in the first decade of the 19th century and which represents the evolution between the feather quill pen and the later widespread popularity of the fountain pen. This painting is not just a beautiful and sensitive work of art but potentially a historical object of the very highest importance and value. And you can get it for the low-low price of £280, if you bid quickly! Make haste, as the auction ends tonight! It’s a good thing the seller didn’t take it to Sotheby’s or Christie’s, where bidding for such an item might start in the thousands. Get a rare, valuable work of art for less than the cost of an iPad! 1. 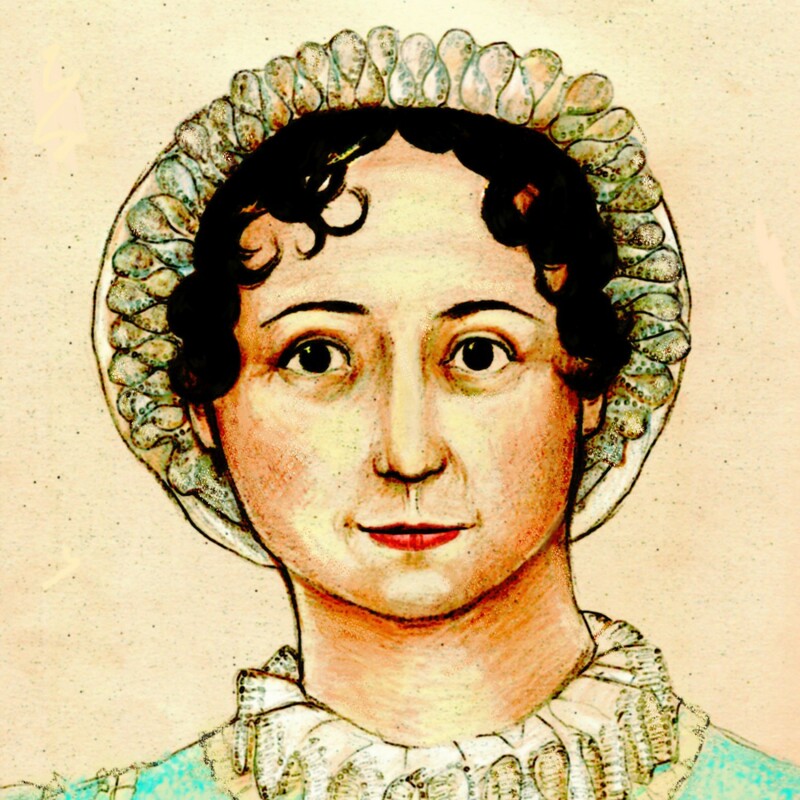 Is this truly a portrait of Jane Austen? 2. If so, how in the name of Harris Bigg-Wither did it end up in Glasgow? Point and laugh, Gentle Readers. Sometimes, that’s all you can do. ETA: AND SOLD for £805.86. We suppose as a period work, it might be worth that much; but we hope that some eejit doesn’t start promoting this all over the place as The Lost Portrait of Jane Austen. We’ve got quite enough of that already. That is hilarious! 1905 – so the Rev. George Austen lived in the Edwardian era??!!! Me thinks the seller didn’t proof read!! OH wow, I didn’t even notice that! It said 1805 elsewhere, so my eyes slid over it. But yes, not proofread, not tested against common sense. Wow! I can’t believe how much it sold for!